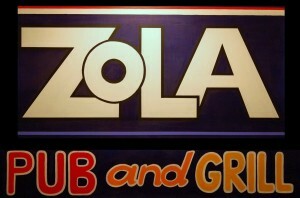 Zola focuses on bringing the best food possible in an upbeat, fun atmosphere. 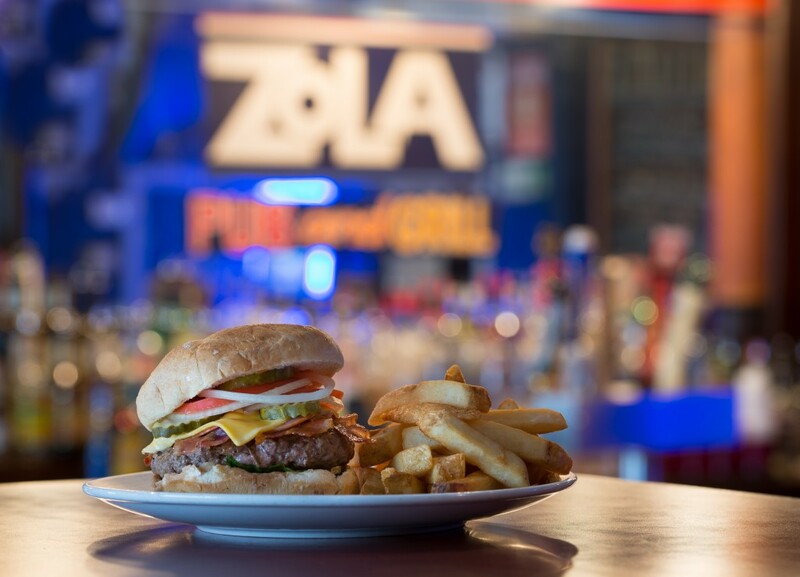 Known for its burgers and wings, Zola offers a full menu; ranging from appetizers, salads, sandwiches, burgers and a fully stocked bar. Join us for the game, lunch, dinner or Happy Hour! Live music Tuesday - Saturday with great food and drink specials daily. Every Thursday Night Brad Martin is here 10pm-2am performing originals and covers. $3 Fireball shots, $2 domestic bottles and the kitchen is open till midnight! Every Wednesday is Burger Mania 11am-10pm with your choice of any fresh 8oz. anugus burger on the menu for $6 and choice of side! 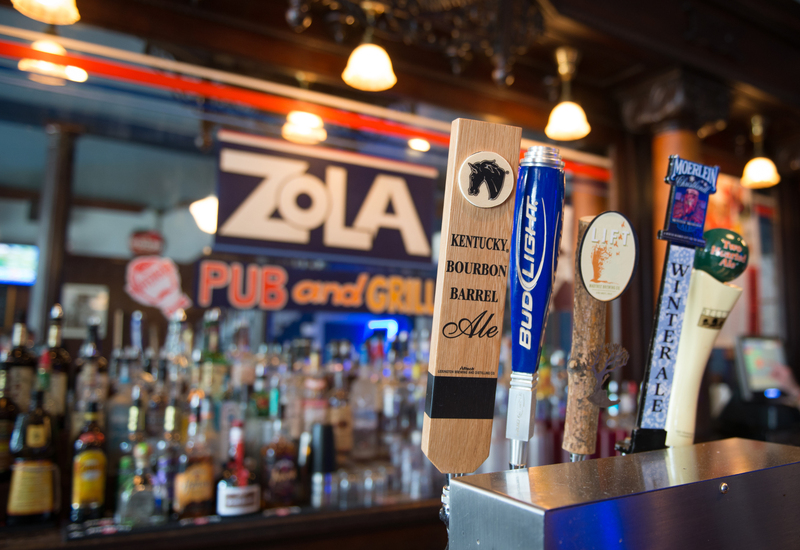 Happy Hour starts at 9pm with $1 Bud Light 12oz drafts, $2 wells and $3 calls. Monday-Friday 3pm-7pm with great deals on food and liquor!